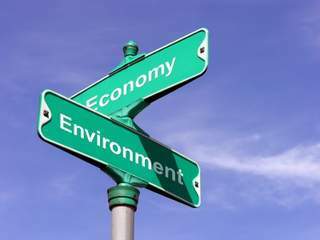 Environmental Clearance in India – Fast Track or Change of Track? Most major investors to India, project proponents and the line ministries have been complaining against the inordinate delays and ambiguities in the decisions related to the Environmental Clearance (EC). The New government is therefore making all the efforts to move on the “fast track”. 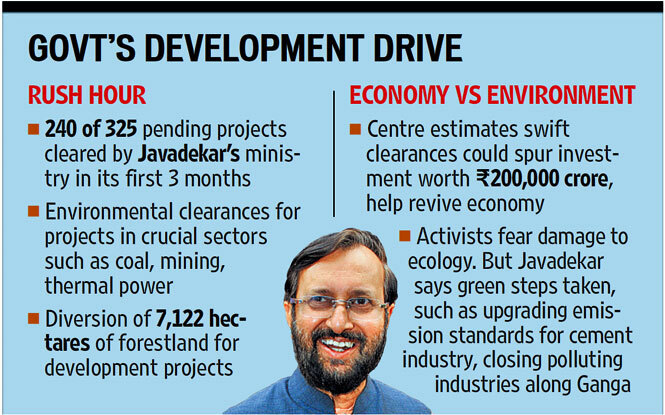 The present Environment Minister Prakash Javadekar has worked at great speed in his first 100 days and cleared 240 of 325 pending projects. Most public sector companies such as Oil and Natural Gas Corporation (ONGC) and National Thermal Power Corporation (NTPC) got approval to expand capacity and start new projects. The Ministry also cleared major private sector projects such as a plan to increase Cairn’s oil production capacity by 50% in Rajasthan. The Government estimates the hastening of approvals could spur investment worth Rs. 2 billion Rs and help revive the economy. Fast approvals became possible by easing norms ((e.g. diluting no-development zones), eliminating processes like public hearing, changing thresholds (especially to decentralize decision making at State level) and diverting forest lands. The Forest Advisory Committee (FAC) approved the diversion of a massive 7,122 hectares of forestland for development projects in the Narendra Modi government’s first three months. With the forest cover at 69.79 million hectares or 21.23 per cent of the geographical area as against 33 per cent mandated by the National Forest Policy, forest diversion could be of great concern. Ministry further decentralized the forest clearance process by increasing the threshold of projects being considered by State governments from 15 hectares to 40 hectares. Nearly 90% files for forest clearance won’t come now to the Ministry. Vide Notification S.O.1599 (E) dated 25th June, 2014, more powers have been delegated to SEIAAs to grant EC to various projects. Earlier, the projects in Category ‘B’ were being appraised as Category ‘A’ at Ministry of Environment and Forests level if they were located within 10 km. of Protected Areas, Critically Polluted Areas, Eco Sensitive Areas, and Inter-state / International boundaries. Now, this distance has been reduced to 5 km. implying thereby that more projects can now be considered by SEIAAs for granting ECs. Apart from this, the capacity up to which non-molasses based distilleries and mineral beneficiation activities could be considered as Category ‘B’ has been increased. Also, all bio-mass fuel based thermal power plants with capacity greater than or equal 15 MW have been put in Category B’. Earlier, such projects were considered as Category ‘A’ projects, if their capacity exceeded 20 MW. The Centre had done away with the requirement of public hearing for coal mines below 16 MTPA, in a bid to expand output by up to 50 per cent. Later, this was extended to mines above 16 MTPA, permitting them to mine up to five MTPA or more without consulting the affected people. Border roads and all defense infrastructures within 100 kms of Line of Actual Control brought under General Approval scheme and so no public hearing will be required. The Ministry reconstituted the National Board for Wildlife (NBWL) and has done away with the five mandatory NGO representatives or the ten persons to be nominated by the Central government from among eminent conservationists, ecologists and environmentalists, as mandated by Section 5A of the Wildlife Protection Act. Besides, the notification only referred to the Standing Committee. It was not surprising therefore that the Supreme Court on August 25 stayed the decisions of the diluted Standing Committee of the NBWL, after a petition challenged the constitution of the Board. The Standing Committee however cleared most of the 140 proposals before Supreme Courts intervention. The Government’s mantra seems to be two-pronged — to make it easier for project developers/investors to set up new projects or expand – viz fast tracking – but stipulate stringer environmental norms e.g. on emissions. This approach is likely to satisfy the business but environment campaigners are not impressed. When compliance to existing regulations itself is pathetic, how can one expect that stringer regulations will be complied with? Unless, the pollution control boards are strengthened, enforcement will continue to be poor. A High Level Committee (HLC) has been now constituted vide OM 22-15/2014-IA-III, dated 29.08.2014 to review the key five Acts viz. Environment (Protection) Act, 1986; Forest (Conservation) Act, 1980; Wildlife (Protection) Act, 1972; The Water (Prevention and Control of Pollution) Act, 1974; and The Air (Prevention and Control of Pollution) Act, 1981. The idea is to “bring these laws in line with current requirements to meet objectives”. The Committee is expected to come up with recommendations in the course of just two months! I am sure the recommendations will include mergers and simplifications in the legal system towards “single window’ appraisals and clearances. Clearly, what we are going to see in the next five years is not just “fast track” on project clearances but witness a “change of track” in the development paradigm. If foreign direct investments and job creation are going to be the principal drivers for taking decisions, then environmental protection and conservation will certainly take the back seat. We need to take a balanced and a strategic approach however to ensure that economic development, security of our natural resources and social justice go hand in hand. We need to change the track in this direction. Fixing problems on ad-hoc basis is not going to work. Merely being on fast track could potentially derail our economy over long run, Sustainability will then only remain a rhetoric and talk in the seminars. I propose to write in a separate post on my views on what could be done. Till then, I will be very interested to have your views. The claim of biodegradability is often associated with environmentally-friendly products, but I often wonder what exactly does this mean? The answer is not simple as there are many faces of biodegradability. The US Environmental Protection Agency (EPA) defines as biodegradable those materials which can decompose under natural conditions. The American Society for Testing and Materials (ASTM), a leader in setting international standards, states that biodegradation is brought about by a biological activity, particularly enzymatic action, which can lead to chemical structural changes. The Federal Trade Commission (FTC), another US government agency, has drawn up guidelines on what legitimately qualifies as biodegradable materials. Examples of biodegradable materials include fruits, vegetables, leaves, paper and seeds. Non-biodegradable materials, on the other hand, do not break down easily. These materials pose a threat to the surroundings since they simply pile up and take a long time to degrade. 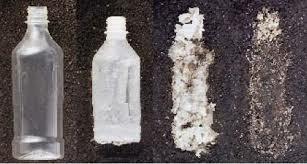 Materials that you see in landfills mostly comprise non-biodegradable materials such as plastics. Going by the definitions listed above, most products are fundamentally biodegradable; the only difference being the amount of time it takes to break each one down. Depending on the time, biodegradation may be partial or total. In the test recommended by the European Union (EU), a 10-day window is used to define ready biodegradability. Within this time, a readily biodegradable substance must reach at least 60% mineralisation based on CO2 production or O2 depletion, or 70% based on reduction in Chemical Oxygen Demand (COD). The 10-day window begins when biodegradation has reached 10% and must end within the 28-day test. Many manufacturers show some biodegradation taking place for an x-period of time and then use the data to extrapolate. But you cannot extrapolate the biological degradation process as such an extrapolation is scientifically unsound. The Biodegradable Plastic Institute (BPI) in the US conducted two separate sets of tests on the Aquamantra water bottle sold by Dana Point, a California-based company which uses an additive from Enso Bottles LLC. The first test showed that the degradation process plateaued after 60 days and the second showed no degradation at all after 45 days. The company then did a 30-day test and extrapolated that the material will biodegrade in four years. This could be misleading. Another example is found in the August 2010 issue of Biocycle Magazine. It published a study initiated by the Environmental Services Department and performed at the Miramar Greenery Composting Facility. Here 105 different compostable products were evaluated. The majority of the products selected meet ASTM standards (either ASTM D6400 or D6868). All of the products tested were purchased in the market. However, more than half of the 105 products did not biodegrade greater than 25%. Fifteen items that were both ASTM and BPI certified showed almost no effects of biodegradation. Independently assessed and disclosed biodegradation data is thus essential to assess the fate and behavior of substances in the environment. Are Biodegradable products always benign? Take the case of active cleaning chemical nonylphenol ethoxylate (NPE), which is made of carbon, hydrogen and oxygen. NPEs do biodegrade to a benzene ring type and other simpler structures. However, this class of chemicals is considered suspicious because NPE can be possible endocrine disruptors. This means NPE may mimic endocrine hormones and cause havoc with a woman’s reproductive system. So although biodegradable, NPE may by no means be environmentally-friendly. End products of biodegradation: Are they always safe? It gets more complicated when we think about products that contain complex chemicals. Pesticides such as DDT are hazardous and toxic in their own right and take a long time to biodegrade. More than their slow breakdown, the problem is that the breakdown products are even more toxic and dangerous than the original DDT! So biodegradation of such compounds can in fact complicate the matters! When we look at greenness of a product, type, extent and material of packaging should also a part of the perspective. While a product could be green, its packaging may not. Packaging accounts for almost 10 % of the environmental impact of anything bought. In estimating the “environmental impact” of the package, we assess the material (i.e. embodied intensity), its biodegradability and recyclability, the label and method of printing (e.g. ink used). Consideration to Green House Gas (GHG) Emissions has also influenced packaging design and the logistics. Grocery Manufacturers Association (GMA) in the United States has committed to eliminate 2 billion kgs of packaging waste nationwide by 2020. If GMA reaches this target then GHG emissions will reduce equivalent to removing 815,000 cars from the road or to cutting of electricity from 363,000 homes for one year! Environmentally sensitive packaging on a nation-wide basis can thus help in combating climate change. The Global packaging industry is estimated to be $429 billion. According to a study from Pike Research, sustainable packaging is a fast-growing segment of the global packaging industry, and will grow to 32% of the total market by 2014, up from just 21% in 2009. Sustainable packaging often leads to innovations. While use of recycled paper in packaging is one of the common options, Dell has pioneered the use of bamboo to protect certain devices (see Source: http://content.dell.com/in/en/corp/d/corp-comm/bamboo-packaging). Two-thirds of Dell’s portable devices will ship in bamboo by the end of 2011. Bamboo is local (hence has less GHG emissions), grows quickly and is strong and durable. Plus, bamboo packaging is biodegradable and can be composted after use. But then “underpackaging” is also not desirable. A recent report by the Global Packaging Project states that the environmental risks of underpackaging can be greater than excessive packaging. 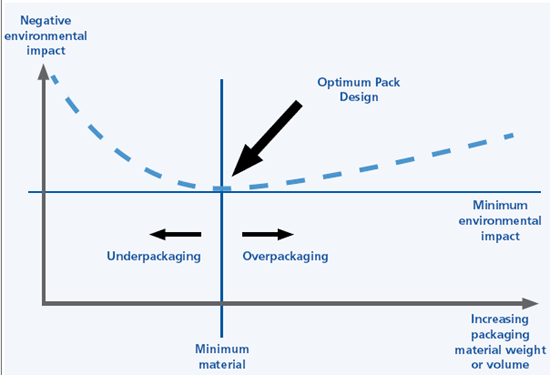 By reducing packaging excessively, products get damaged in transit, requiring re-manufacturing and re-distribution in order to replace the original products. Further, there are costs and liabilities for disposal of off-spec, discarded or foul products. Thus, by trying to reduce the environmental impact of packaging, companies may simply be shifting, and potentially increasing, the adverse impact to the environment. So a careful balance is needed and let us not “overdo” sustainability. For coming up with a sustainable packaging design therefore, every manufacture has to think “out of the box” and yet be “practical”. This is done through clever choice of materials, design and a communiqué that costs, reduces environmental impact and ensure product security. You as a consumer will now judge a product in its totality – not just how green it is but in addition how smart and sensible is the packaging. We got to think Out of the Box!. Not long ago, mobile phones were a rare commodity and a luxury. These were used mainly by business people, government officials and the elite in society. Today, the mobile phones are everywhere – used by everybody including in distant rural areas and urban poor because of the affordability, connectivity and applications it can offer. This has led to a huge number of unused and discarded phones as people upgrade and replace their phones frequently. In the middle of 2005, the subscribers to mobile phone carriers dramatically increased. The number of total users jumped close to 4 billion worldwide resulting in an estimated 650 million retired or discarded mobile phones. The problem is what do we do with these discarded mobile phones? 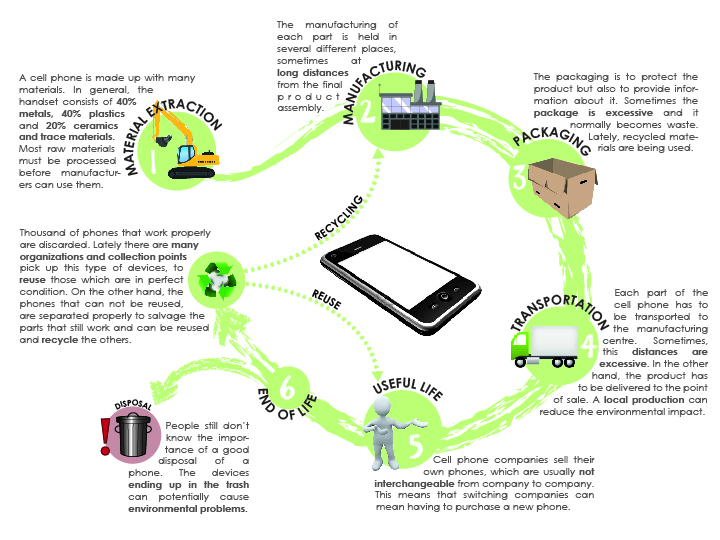 A mobile phone has significant impacts across its life cycle – right from extraction (especially metals), making, packaging and distribution, use and disposal. Figure 1 describes life cycle of a typical mobile phone. You would notice that recycling and reuse should ideally form a dominant component of this life cycle. Most discarded mobile phones will otherwise choke our landfills. What do the mobile phones typically contain? Mostly, mobile phones comprise of a handset (includes: Printed Circuit Board (PCB), Liquid Crystal Display (LCD), Keypad, Antennae, Microphone, Casing), a battery and a charger. The PCB is made mostly of copper is soldered to the board with protective coatings and adhesives. The board is made of epoxy resin or fiberglass and generally coated with gold plating. Other precious metals and hazardous substances in the PCB are arsenic (in chips made from gallium arsenide), antimony, beryllium, Brominated Flame Retardants (BFRs), cadmium, lead (used in the solder that joins the parts), nickel, palladium, silver, tantalum and zinc. The lead and BFRs have the highest environmental impact due to their levels of toxicity and persistence in the environment. The LCD as the name suggests contains liquid crystals and these substances can contain toxic substances such as mercury. Rechargeable batteries generate less waste than single-use batteries however; rechargeable batteries can contain toxic components such as cadmium, nickel, zinc and copper. The charger used to recharge the battery often weighs more than the handset and battery combined. It is generally not interchangeable among different makes and models of phones, contributing significantly to the waste generated. The chargers consist of mainly copper wires encased in plastic, but materials such as gold, cadmium and BFRs may also be present. 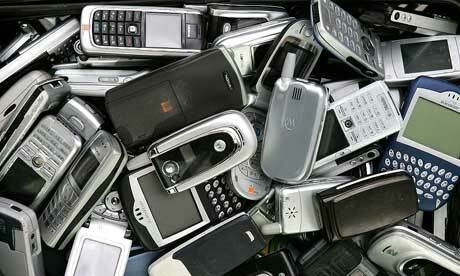 Discarded mobile phones are like mobile mines of precious metals. Nearly 300 grams of gold can be recovered from approximately 1 tonne of recycled mobile phones. These 300 grams of gold when re-used can save mining 110 tons of gold ore. Batteries contain a range of metals which can be reused as a secondary raw material. There are well established methods for recycling most batteries containing lead, nickel-cadmium and mercury, but for some, such as newer nickel-hydride and lithium systems, recycling is still in the early stages, but this will soon happen. So it is important that we find a way to recycle or get back the used mobile sets. Many large mobile set makers have come together today under leadership of the Basel Secretariat to form Mobile Phone Partnership Initiative (MPPI). We however need such partnerships to “descend down” to local levels. According to a global consumer survey released by Nokia, only 3% of people recycle their mobile phones. The survey was based on interviews with 6,500 people in 13 countries. Globally, half of those surveyed didn’t know that metals could be reused. Between 65 – 80 per cent of a Nokia device can be recycled. Nokia has 5000 collection points for unwanted mobile devices in 85 countries around the world, the largest voluntary scheme in the mobile industry. In Bangladesh, Nokia tried to promote its mobile recycling campaign, however the response was not significant because of lack of awareness, unfamiliarity with the concept of recycling; and people were interested in getting paid for returning their used mobile phones. Why give the used mobile phone free? That was the barrier. Most discarded mobile phones were kept in the drawers of a cupboard in the house like coffins. So some believe that buy-back programs may just work. Sprint in the United States has a long list of approved phones for taking back. Sprint pays a $195 for a 64GB Wi-Fi iPad, a T-Mobile MyTouch 4G is worth $85.69, a Samsung Restore brings $26, and an LG EnV Touch delivers $12 in account credit. Normal wear and tear is fine, but the product must turn on and be free of corrosion, water damage, and display scratches. Visit http://www.sprint.com/responsibility/communities_across/index.html?ECID=vanity:recycle for more information. We often use the term Extended Producer Responsibility (EPR), but in order to successfully mine the metals in our discarded mobiles phone, we must cultivate Extended Customer Responsibility (ECR). 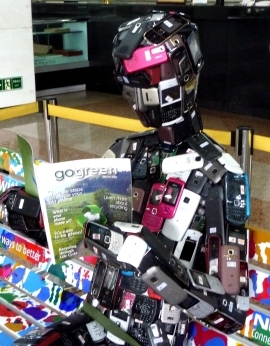 Everyone needs to consciously and actively recycle used mobile phones. The next time you upgrade to a new mobile phone, consider sending the old one for recycling instead of just tossing it in the dustbin. Let’s help conserve earth’s precious metal resources and do our bit to save the planet. Don’t forget that mobile phones are like mobile mines! For Students: Interesting projects could be conducting surveys on the used or discarded mobiles. Segment the survey across urban and rural areas, income groups, gender, age etc. Learn about take back schemes on used mobiles in your neighborhoods; meet mobile phone makers and suppliers on recycling – especially of metals, and open up a campaign. Attempt a life cycle analyses of mobile phones and the chargers. Study the technology options and economics of metal recycling.